Q Is the service offered by Rateablevalue.co.uk legal? A Yes, the service offered by Rateablevalue.co.uk is perfectly legitimate and 100% legal. Q Why should I deal with Rateablevalue.co.uk? 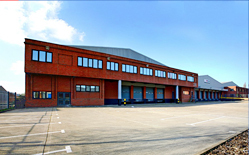 A Rateablevalue.co.uk has a history in commercial property of over 30 years. We offer a simple, legal short-term rental service that could save owners and lessees of empty commercial properties in England or Wales up to 66% on their empty property business rates. We charge a small fee for our service which could be rewarded with great financial savings on your empty property business rates. If in the unlikely event you happen to not make a saving, we will happily refund our fee T&C apply. Q What do I get from the service? A Our service is simple - to save you money! As the owner or lessee of empty commercial property you secure a guaranteed short-term tenancy with a one-day notice period. We can rent as many properties from you as you like providing they qualify for the service T&C apply. A If you own or lease an empty industrial property which qualifies for a 6 month rates void period, our fee will equate to one month's rates of the property in question. If you own or lease an empty other commercial property which qualifies for a 3 month rates void period, our fee will equate to 1/2 month's rates of the property in question. Q Why do you require payment upfront? A Due to the nature of our service, we request payment upfront. When we become your tenant we will be liable to pay the business rates on your property for the term of the agreement. To assume this responsibility we require payment in advance. However, should you fail to make a saving on your empty property business rates we will refund our fee T&C apply. Q What if I find a suitable new tenant? A Don't worry! Simply contact us and we can arrange to legally vacate the property at 24 hours notice or a time to suit you T&C apply. If you happen to find a tenant and request us to vacate, any fees will be payable to Rateablevalue.co.uk T&C apply. Q Other than paying the service fee, what else do I need to do? A We will need some basic information to process your request. Please see the enquiries page of this website for more details. Once you have submitted the relevant information we will send you an information pack that includes our lease document and payment details. Once you have paid the service fee and signed and returned two copies of the lease document, there is nothing else you will be required to do. Q Where do I find the information needed to submit an enquiry for my property? You will find most of the information you need on your empty property's most recent rates bill. This includes you property's rateable value, property reference number, local billing authority and multiplier. If you still have trouble locating any of the necessary information, contact us and we will do the best we can to help you. Q How do I establish which rates void period I qualify for? A Typically, most commercial property excluding industrial qualifies for a 3 month rates void period and most industrial property qualifies for a 6 month rates void period T&C apply. Q My property is about to become liable for empty property business rates; can I still use your services even though I'm not currently paying rates? A Yes. This scheme has been adapted so that people in your situation can still benefit from our service. You must however be paying/due to pay empty property business rates from the date which is agreed and stated on the lease T&C apply. Q What information will you need regarding the property in question? A The enquiries page of this website contains all the fields of information that we will need regarding your property. If you wish to ask us more about this topic, feel free to contact us via email. Q When will I find out if I have made a saving? A Once we have notified the rating authority that we are vacating your premises, you should receive a new rates bill including your rates void period from the rating authority. If you don't receive anything then you can call your local rating authority to find out more. Q Is there a lot of paperwork? A No. Rateablevalue.co.uk take care in ensuring paperwork is kept to a minimum. All you will receive is a concise information pack which will inform you of all you need to know regarding the service, legal obligations and conditions. Q Will you take responsibility for the property whilst you are renting it? A Our lease contains in detail what we will be held responsible for. But in short, we will only be expected to pay the rates for the length of time specified in the lease. We will not be held responsible for any other claims/costs etc. regarding the property we are renting T&C apply. Q What should I do if I experience a problem? A If you should experience a problem with our services, don't hesitate to contact us and we will aim to get back to you within 24 hours. All our contact details are on the website page labeled contact us. A Yes! Your details are secure and will not be passed on to any third party with the exception of the Rating Authority who will need relevant information in order for us to process your request.